The diversity of this country is astonishing, the 185 mile long barrier reef is the longest in the western hemisphere and second largest in the world. Three of the four coral atolls in the Western Hemisphere are also located off the coast of Belize. This magical place offers over 500 species of birds, lush tropical rainforest and the glistening waters with their teeming marine life. Belize is a tropical paradise that offers great Mayan history, mixed culture, excitement and adventure. With its amazing cascading waterfalls, Caves, Rainforest walks to see the Howler Monkeys, Mayan Ruins and tropical exotic birds; you will find discovering the land a real treat. The waters offer great sailing, trips up the river by small boats and some of the most spectacular reefs in the world. Belize is split into 6 districts; Belize, Corozal, Orange Walk, Cayo, Stann Creek and Toledo. Each individual district has its own capital with Belmopan being the capital on the Country Belize. The Belize District is the heart of colonial Belize, and is centrally located between the northern and southern borders. It is the main entry for visitors with Philip Goldson airport in Ladyville, being Belize’s only international airport. The main population of Belize district lives in Belize City, the capital of the district, and are mostly Creole descendants of African slaves and European settlers. This city of 70,000 is the modern Belize with its bustling streets, shops, banks, new museum and main stop for all water taxis and cruise ships. Most of the countries trade and commerce is centralized here. 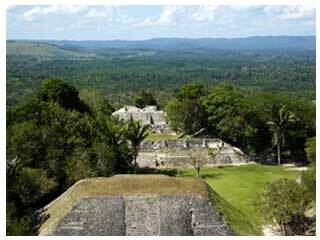 Belize district has little to offer in the way of archaeological and ecological interest. The rest of the district is a complete contrast to the city, large mangrove swamps and marshlands along the coast merge with the pine savannah and tropical forests towards the interior. Belize District has four beautiful lagoons, inland waterways that boast tropical vegetation where wildlife flourishes and many island cayes, including San Pedro, Caye Calker, Sergeant's Caye, Goff's Caye, English Caye, and Rendezvous Caye. 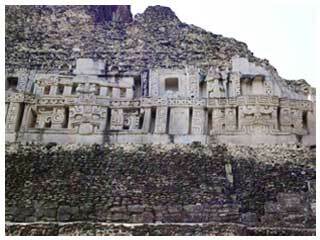 Altun Ha meaning Water of the rock, is a Mayan Ruin roughly one hour from Belize City. The site has around 500 buildings recorded and it is believed that over 10,000 Maya would have lived here and that the original buildings date back to 100AD and continued expanding the city throughout the classical period and ending in the 10th Century. The Temple of the Green Tomb and the Temple of the Masonry Altars are the most impressive and offer a fascinating insight into the life of the Maya. In the early sixties and seventies an excavation team discovered large amounts of Jade and Obsidian at the site and therefore concluded that it must have been a significant trading center. It was here that the largest carved Jade object was found, a Jade Head, and this represents the Sun God, Kinich Ahau. This head is the largest Mayan jade artifact discovered to date and is currently kept in a bank vault in Belize City. Every Belizean bank note now has Jade Head in the corner. Belize Zoo is a trail that takes you through Belizean terrains, pinelands, forest ridge, rainforest and lagoons. Here you can see Belize’s native wildlife and exotic bird species. Jaguar, jaguarondi, ocelot and puma’s are all housed at the zoo. The Mammal of Belizean is the Tapir, this can also be seen here along with howler monkeys, snakes and crocodiles. There is also an Avery full of Belize’s birds of paradise. There are many wild life sanctuaries in the Belize district that help mammals, birds and marine life. The most northern district of Belize is Corozal District with Corozal Town being its capital. The district borders Mexico and has the official border crossing at Santa Elena. Residents are mainly descendants of Maya Indians and Mexican Mestizos. The terrain is mostly swampy with highly developed agricultural areas. The production of sugar cane is the main industry in Corozal and maintained the countries economy for many years since the fall of logwood in the 1850s. Sights to see in Corozal include beaches, bays, inland lagoons and a few Mayan sites such as Santa Rita and Cerros. This is the northwest district of Belize with Orange Walk City being its capital and the third largest populated district in Belize. The district has a contrast of ancient Maya archaeological interest, modern day city, large sugar cane plantations and topical rainforest. Birdwatching, horse riding and jungle hikes are popular in this district. Lamanai "Submerged Crocodile" is the only Mayan ruin to use its original name. Located on the west bank of the New River Lagoon this 940 acre site is said to date back to 1500B.C. Over 720 buildings including monumental architecture of temples and palaces have been identified at the site. This ancient Maya city had an occupational span of over 3000 years and its population reached approximately 50,000 once the site was fully developed. The nature trails and boat trips to Lamanai offer a scenic and spectacular trip. Orchids and other wild flowers grow along the banks, while crocodiles turtles and marsh birds can be seen in the river. The jungle offers birds, wildlife and howler monkeys that swing in the tree tops. The Cayo district is located on the west side and is the largest and most fertile district in Belize. The district is over 2000 miles square and it’s primarily industry is in agriculture, with citrus orchards, banana plantations and cattle farming. In recent years oil was found in Spanish Lookout and is now in production. San Ignacio is its capital even thought Belmopan, the capital of Belize, is in this district. Cayo district has lush jungles, fast flowing rivers, thundering waterfalls and huge cave systems just waiting to be explored. Caracol “Conch shell or snail” is the largest Maya archaeological site in Belize. Between 1200BC – 250AD small villages started the city and they were developed into monumental centers. By 650AD this Urban area had a radius of approximately 10km. This is much bigger than Belize city today. It maintained a population of over 140,000 people through immense agricultural fields and elaborate city planning. Caracol was linked by more than 20 miles of roadways and had about 20 major plazas, temples, and the tallest Mayan structure in Belize standing at 145feet above forest level. This site is still under excavation and is a fine display of Mayan history. Xunantunich “Stone Woman or Maiden of the Rock” Like most Maya archaeological sites is a modern name; the ancient name is currently not known. The "stone woman” refers to a ghost that people have claimed to see, dressed in White with red eyes, this woman appears in front of El Castillo and ascends up the stone stairs and disappears into a stone wall. Most of the structures here date back from around 200 AD to 900AD. The city is said to have occupied one square mile, with 6 plazas and 25 surrounding temples and places. The pyramid structure, El Castillo, is the second tallest structure in Belize after the temple at Caracol. It is a steep climb through the stone building and up many stairs to reach the top but once you get there you will be overwhelmed by the most spectacular views over Belize on one side and Guatemala on the other. 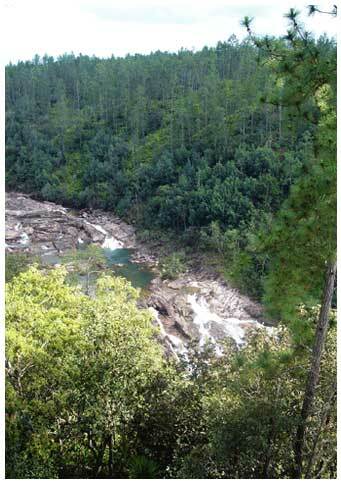 Mountain Pine Ridge Forest Reserve is the largest protected area in Belize and covers around 106,352.5 acres of predominantly Caribbean pine forest, broadleaf forest and small areas of grassland and wetland. There are many caves to explore in the limestone regions of the forest and amazing waterfalls and rivers. Bird lovers will be treated to the rare orange breasted falcon, stygian owl, white king vulture, oscillated turkey, acorn woodpecker, keel billed toucan, and red-lored parrot. The Baird’s Tapir, Belize’s national animal also lives here along with pumas and jaguars. Five Sisters is a spectacular display of five waterfalls together that are in complete contrast to their green tropical background. This wonderful display of nature is a great place to relax and take a swim. The sound of the rushing water cascading over the rocks and splashing into the crystal pools, with the aroma of wild exotic plants and flowers will have you lured into tranquility. 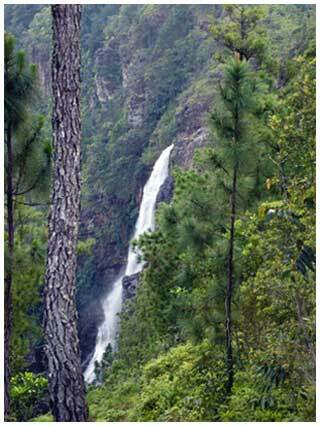 Hidden Valley Falls also known as 1000 feet falls is found in the heart of the Mountain Pine Ridge Forest and is the largest waterfall in Central America. The falls are actually nearer to 1600 feet and roars dramatically down the granite cliff face into the valley below. Stann Creek District is 986 square miles and the second largest district in Belize with Dangriga being its capital. Its main population is Garifuna, who are the descendants of Carib Indians and African Slaves that migrated to Belize. The agricultural industry here is mainly citrus and bananas and since 1992 Big Creek Port is the only port exporting bananas. The district is diverse and has a lot to offer visitors. With its uncrowned cayes that have sandy beached and palm trees, barrier reef, lush tropical mountainous rainforest, pretty fishing villages and Mayan Ruins, there is always plenty to see and do. If you are feeling energetic hiking in Stann Creek district is a great way to see the heart of Belize, with a Jaguar Reserve, tumbling waterfalls and Victoria Peak, the second highest Maya mountain in Belize, you will certainly get some of the best views of this glorious country. Yacht Charters in southern Belize will all start in Placencia. The village is located at the top of the peninsula and is primarily a fishing village with a mix of Creole, Garifuna and Mayan cultures. 16 miles of long sandy beach stretch across the peninsula with the Caribbean Sea and cayes to the east, a large mangrove fringed lagoon around the western side and the Maya mountains towering high in the background, making Placencia a picturesque location. The Village is approximately one mile long and there is only one main road so you will be able to go everywhere on foot. Placencia offers many restaurants, bars and small gift shops along its famous narrow sidewalk. Wendy’s is a great restaurant if you are looking for good food, a casual atmosphere, excellent value and air conditioning. If you prefer to spice things up a little then take a taxi to Habanero’s Mexican restaurant, where you can sit outside, look up at the bright star filled sky and enjoy the yachts in the surrounding marina. Provisioning in Placencia can be difficult if you have special dietary requirements. The local shop Wallens can provide you with all your basic foods and meats along with all beverages and bottled water. There are also a few Chinese shops that sell most products. Fresh fruit and vegetables are slightly harder to come by, but you will find a small stall next to Wendy’s & a small deli called Peckish, near the airstrip. As long as you don’t mind basic foods you will have no problem shopping here. Cockscomb Basin Wildlife Sanctuary is the world's first Jaguar Reserve and is located just off the southern highway. 160 square miles of land that is made up of two basins that serve as a watershed for two of Belize’s rivers. 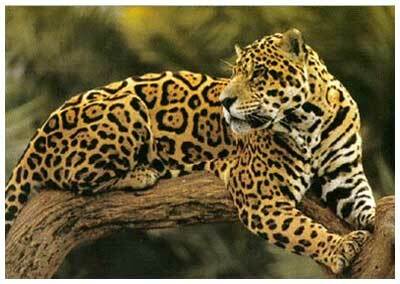 The reserve was set to protect Jaguars from becoming extinct. It is very rare to see a Jaguar as they are nocturnal animals, however, the wildlife here is abundant. The park is rich in beauty and hiking through the reserve you will see howler monkeys, iguanas, deer, spectacular bird species and many more animals live here. You will also find waterfalls and rock pools that you can cool off in during your walk and a well concealed minor Maya ceremonial site known as Chucil Baluum. If you are looking for adventure and exploration then you will be challenged by Victoria Peak, standing at 3,675 feet, she presides over the range and offers a 4 day hike through dense rainforest; once you reach the top you will experience some of the best views imaginable. Toledo is the southernmost district of Belize with Punta Gorda being its capital. Toledo is sparsely populated and the least developed district in Belize with over 1669 square miles of land. This is Belize’s poorest district with many isolated Mayan Indian villages surviving on subsistence farming. With pristine rainforest, Maya Mountains, costal waters and inland rivers this district is waiting to be explored. Lying 40 miles offshore, the last 186 miles of the Belize Barrier Reef stretch in the waters of this district, making some of the best snorkeling, fly fishing and secluded cayes in Belize. Monkey River is a fascinating and relaxing trip, from Placencia you can take or tour guide, but the cheapest and most fun way to see this spectacular river is to anchor your yacht close by and wave over a local from Money River Town. The locals will take you in their boat and give you the full trip for a fraction of the cost. This small, sleepy Creole village of 200 people is the most northern village of Toledo district and sits on the southern bank of the river. The river is named after the large amount of black howler monkeys that inhabit the forests. 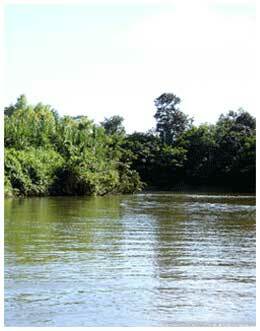 Once you enter the mouth of the river you will wind your way upstream through broadleaf forest and mangrove channels. With little human inhabitation the flora and fauna has been able to thrive offering wildlife the perfect home. You will see iguanas, turtles and crocodiles basking in the glorious sunshine. Overhead the most wonderfully variety of bird species will dazzle you with their spectacular colours. The boat will stop and your guide will lead you through the lush, dense, tropical paradise to see the Howler Monkeys. The monkeys usually travel in small groups and you can hear their bellowing calls through the trees. Once you return to the boat relax and drift back down the river and back down to earth.